Bush League Breeders Club - Take a look at the gorgeous baby ball pythons hatched out at Python Junkies from a leopard firefly x orange dream yellowbelly pairing. Ball-Pythons.net - E.B. 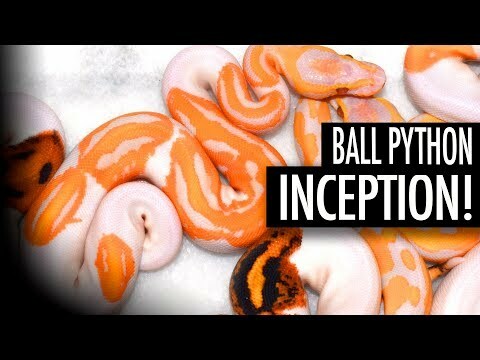 Ball Pythons shows off the pretty baby ball pythons that they produced from an orange dream yellowbelly x orange dream spider pairing. Captive Bred Reptile Forums UK - Reptile Studios shares photos of a terrific looking trio of ball pythons—orange dream, orange dream yellowbelly and orange dream enchi. YouTube - Justin Kobylka shows off one of his dream ball pythons, the orange dream yellowbelly dreamsicle which took him three seasons to make. Captive Bred Reptile Forums UK - See the lovely orange dream butter and orange dream butter possible yellowbelly ball pythons that John Woolard Reptiles was first to produce.